Southern classicism along 14. 5 acres of st. Johns riverfront. 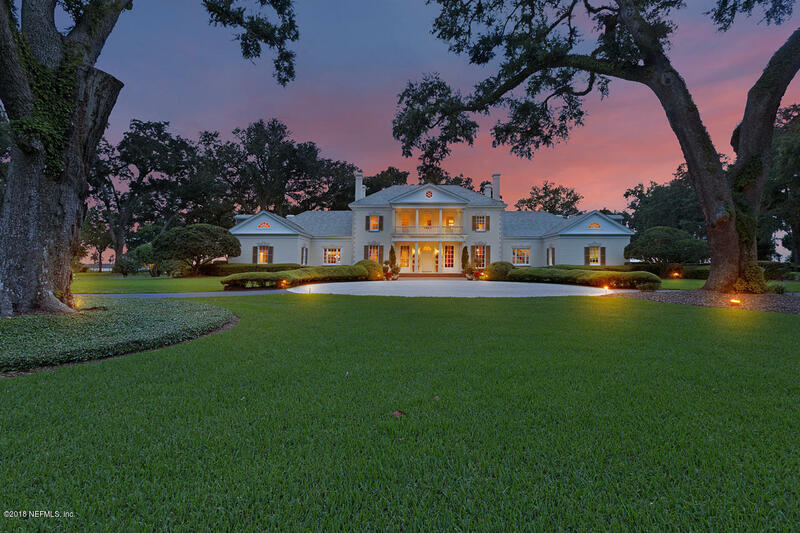 Spectacular opportunity to amass 600 ft of high bluff river frontage and a splendid estate home offering the look of a georgia plantation. 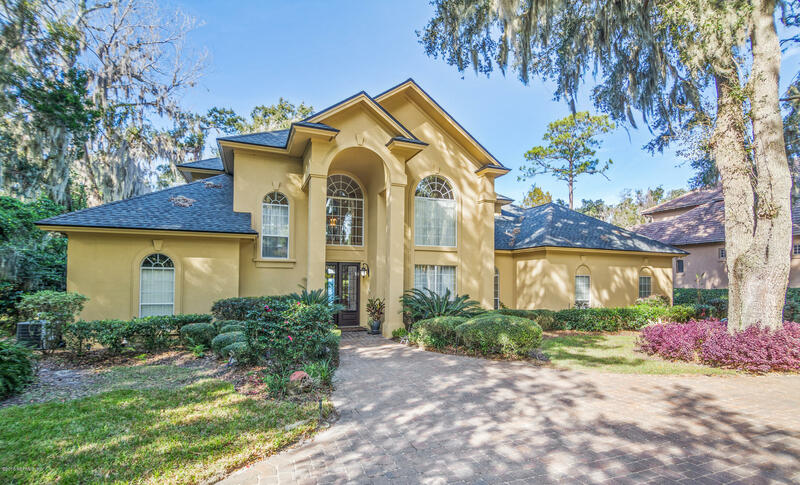 The river elevation provides more open fenestration to capitalize on the views of lawn, live oaks and of course the tidal waters of the st. Johns river. The south wing of home contains a suite of three bedrooms and three baths offering comfort and privacy. The north wing contains the kitchen, morning room, office, mud room & secured storage space, the master suite located on second floor occupies fully half of the central portion of the home opening onto a balcony overlooking the river. An outbuilding on the property includes a two bedroom apartment and a caretakers office and addl garage. Welcome home to riverside at rivertown. This boutique community of 20 homes features custom and semi-custom homes on large preserve home sites. This for sale model home has upgrades galore. The home welcomes you with an inviting front porch of re-claimed red brick that leads to a vaulted foyer. An open concept home, it has a custom kitchen with cabinets to the ceiling, quartz countertops, butler pantry with wine fridge, under cabinet lighting and all viking appliances. The family room has a masonry gas fireplace, custom ceilings, built-ins and hardwood throughout. The master suite features a large bay window to view the amazing tree canopy and a master bath that has separate his and her vanities, a ''spa like'' feel and a full moen automated shower. No cdd fees. Welcome home to this spectacular riverfront residence on a beautiful75 acre waterfront estate lot on the river in sought after bayside community that features 4 bedrooms, 4 1/2 baths, bonus/media room, fantastic river room, indoor pool, spa, summer kitchen, & dock with boat house, lift & jet ski lifts. 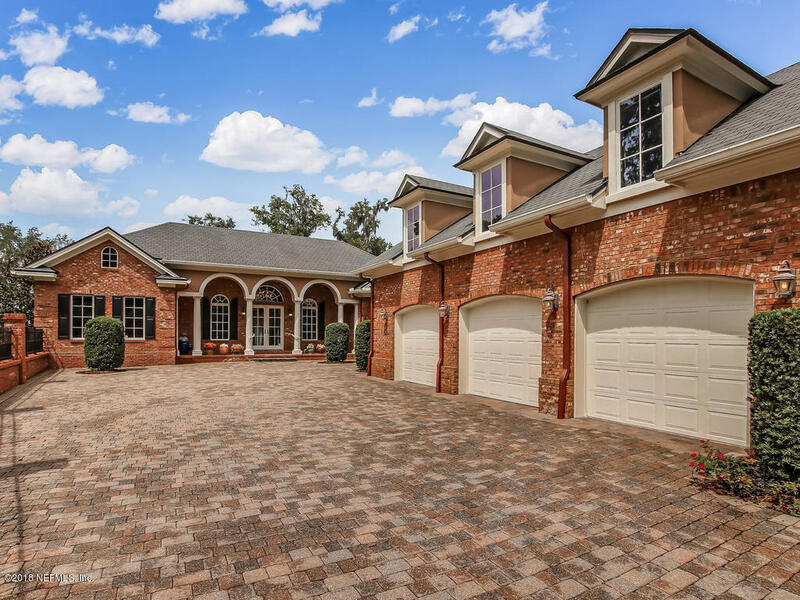 Impressive features include 2 story entry foyer, front & rear staircases, wood floors & travertine tile, built in cabinets & shelves, wet bar, 2 fireplaces, central vacuum system, & atrium doors with in glass blinds. Chef kitchen features raised panel cherry cabinets, built in desk, island, and granite. Private owners suite has fireplace, built in entertainment center, & granite vanities. Outstanding gated community with amenities you must see to appreciate is a great place to call home. 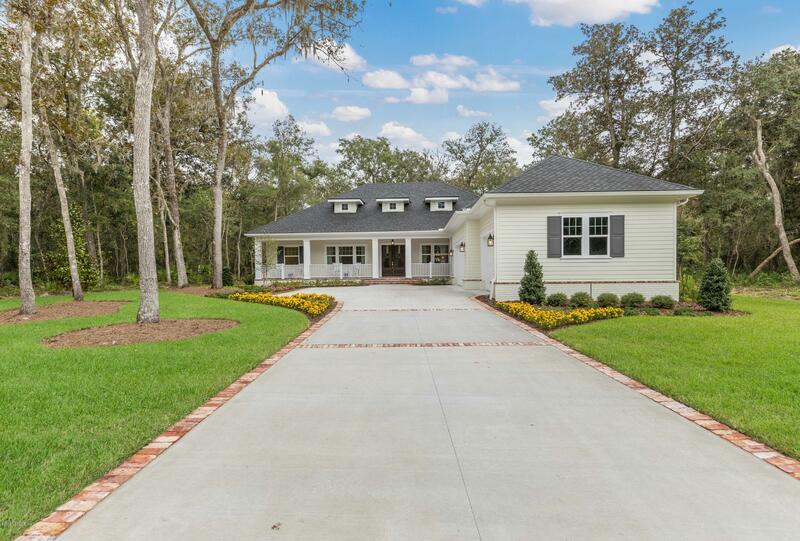 This custom built arthur rutenberg home is 13+ feet above sea level & located on a private cul-de-sac with 130' on the st. Johns river. 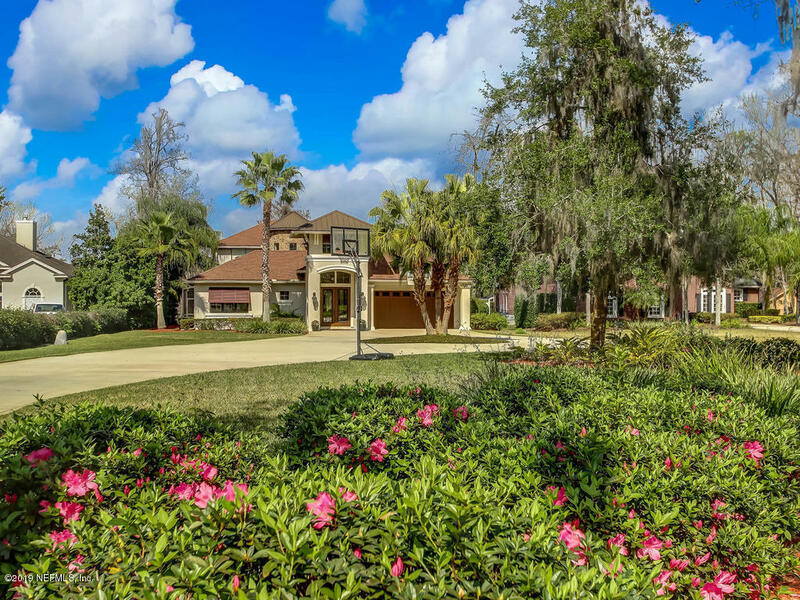 Panoramic views of the st. Johns river await you in highly sought after st. Johns county. Spacious, open floor plan with endless attention to detail. Gourmet kitchen open to family room. Architectural features include superb millwork, niches, arched windows & shutters. Custom etched glass 8' double front doors emulate the serenity of the surrounding property. 90-degree pocketing sliding glass doors open to an expansive covered lanai w/ summer kitchen & screened in meditation garden with a fountain for outdoor enjoyment. Fire-pit, dock and boat-lift. Meticulously maintained landscaping w/ mature fruit trees. Generator. Guest window treatment doesn't convey. Nestled on a beautifully landscaped waterfront lot, this arthur rutenberg custom built home boasts 90ft on durbin creek. Among the home's many special features are a courtyard heated screened-in pool & spa, a newly remodeled boat dock with 10,000 lb remote controlled lift plus 2 jet ski lifts, & a private entry guest house, complete with a kitchenette, full bath & murphy bed for visiting family & friends. The 4,455sf floor plan features 5 bdrm suites, each with its own full bath, wood floors & plentiful closet space. Hardwood & tile floors throughout. Designed for easy entertaining, the open layout flows to outdoor living areas through stacking glass doors providing access to several screened lanais & patios, ideal for watching sunrises, sunsets & the annual boat parade on julington creek.